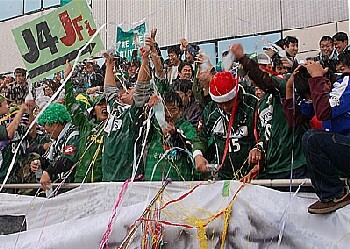 In front of a home crowd of more than 3000 on Saturday afternoon, FC Gifu coasted past Honda Lock in the second leg of their play-off to reach the JFL for 2007. After a 4-0 win in the away game last weekend it would have taken a stunning result for Gifu to have thrown it away, but a goal from forward Atsushi Katagiri mid-way through the first half settled any nerves that his side might have had. The same player was on target again just after the hour and further late scores from Hiromi Kojima and Tetsuya Ito confirmed the superiority of Tokai League champions Gifu. Lock managed a consolation in the dying moments through top scorer Shoma Mizunaga, but after a disappointing league campaign and two crushing defeats in the play-offs, the Miyazaki-based outfit slip out of the JFL and back to fourth-tier football in the Kyushu League. 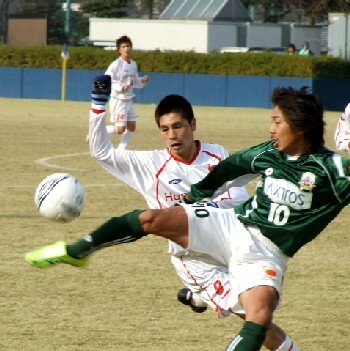 Osaka's Hannan University Club will compete on 14 January with Kumiyama FC from Kyoto for the one automatic promotion place to Division 2 of the Kansai League. The two sides won their Prefectural Promotional Play-off Semi-Finals on Saturday against Estrela Tsuda and Kyoto Fushimi Shuyu-kai respectively. The losing team in the January Final will then take on Kohga School for the last spot in the Regional League for 2007.